Maintenance and upgrades to the grants portal are complete and the portal is open. Please be sure to update your bookmarks with the new website URL. Most of the functionality is the same. Contact John Fulton, 651-259-3467, with questions. Please note that final report forms now must be submitted via an online form (accessed through the Reports area of the grants portal dashboard). Grantees will no longer have access to the old final report pdf. Contact Melinda Hutchinson, 651-259-3459, with questions. Applicants to the July 12, 2013 small grants deadline, be sure to double-check your draft grant application for completeness prior to submission. The Grants Office recently completed some upgrades and maintenance to the grants portal--make sure you haven't missed filling in required fields or uploading necessary attachments. Contact Melinda Hutchinson, 651-259-3459, or John Fulton, 651-259-3467, with questions. The project allowed the Minnesota Air National Guard Historical Foundation to undertake a complete inventory of one of their core collections, which has never been officially documented and analyzed. In addition to giving them intellectual control of the collection, they now have a complete accounting of the physical condition of the collection. Another milestone to look forward to--the 50th anniversary of the National Register of Historic Places in 2016. See how history degrees rank among other professions. Check out the "Fossil Trail" for some outdoor history this summer. 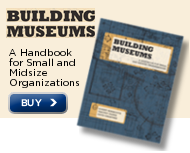 Does your organization offer summer history education? Minnesota makes plans to commemorate the 150th anniversary of the Battle of Gettysburg. Minnesota State Arts Board, St. Paul MN, seeks Advisory Review Panel Coordinator. Deadline: July 12, 2013. St. Louis County Historical Society, Duluth MN, seeks part time Veterans' Memorial Hall Program Manager. Deadline: July 12, 2013. African American Museum of Iowa, Cedar Rapids IA, seeks Education Assistant. Harley-Davidson Museum, Milwaukee WI, seeks Curator--Exhibitions. Anchorage Museum, Anchorage AK, seeks Associate Registrar. Anchorage Museum, Anchorage AK, seeks Interdisciplinary Museum Educator. Carlton County Historical Society, Cloquet MN, will host its June "Friday Movies at the Museum" program on June 28, 2013, 1 p.m. Join them for "Northwest Paper Company Mill," and "Crane--South Yard, Northwest Paper Company," and learn how the Cloquet paper mill operated. Call 218-879-1938 for more information. Mower County Historical Society, Austin MN, invites the public to the Booth Post #130 GAR Hall, Grand Meadow MN, for Meadowfest, June 29-30, 2013. Call 507-437-6082 for more information. Winona County Historical Society, Winona MN, hosts Dr. William Crozier, who will speak about Winona on the eve of the Civil War and the First Minnesota Regiment at the Battle of Gettysburg, July 3, 2013, 12:05 p.m. Call 507-454-2723 for more information. Blue Earth County Historical Society, Mankato MN, will host an Independence Day celebration at the Historic R.D. Hubbard House, July 5-6, 2013, 10 a.m. to 4 p.m. Call 507-345-5566 for more information. St. Louis County Historical Society, Duluth MN, announces an event, "Polka! The Movie" with commentary by writer and narrator Joe Valencic, to be featured in the new satellite theater of the Duluth Playhouse, the Underground, of the St. Louis County Heritage & Arts Center (the Depot), July 10, 2013, 1-3 p.m. Call 218-733-7586 for more information. Stearns History Museum, St. Cloud MN, welcomes Dr. Erika Vora, local author and professor, who will speak on her book "Silent No More: Personal Narratives of German Women who Survived WWII Expulsion and Deportation," Wednesday July 10, 2013, 9 a.m. Call 320-253-8424 for more information. St. Louis County Historical Society, Duluth MN, announces that two of its traveling exhibits, "Old Country Memories: The Art of Albin Zaverl" and "Father Baraga: Shared Horizons," will be featured at a Slovenian cultural heritage event, "A Salute: Slovenian Cultural Expressions," Vermillion Community College, Ely MN, Friday July 12, 2013. Call 218-733-7586 for more information. Steele County Historical Society, Owatonna MN, hosts the 8th Annual Chuckwagon Supper, Saturday July 13, 2013, 5:30-7:30 p.m. Tickets: $12/person; children 6 and under free with a paying adult. Space is limited; call 507-451-1420 for tickets. Steele County Historical Society, Owatonna MN, will hold their 27th Annual Extravaganza in Owatonna's Village of Yesteryear, Sunday July 14, 2013, 11 a.m. to 5 p.m. Call 507-451-1420 for more information. White Bear Lake Area Historical Society announces a second tour date for their popular Gangster Bus Tour, Sunday July 14, 2013, 2 and 3:30 p.m. Reservations required; call 651-407-5327. Join White Bear Lake Area Historical Society at the Ramsey County Library-White Bear Lake for a talk about White Bear's Notorious Gangsters, Wednesday July 17, 2013, 2 p.m. Call 651-407-5327 for more information. Join White Bear Lake Area Historical Society at the Ramsey County Library-White Bear Lake for a talk about White Bear's Notorious Gangsters, Monday July 22, 2013, 6 p.m. Call 651-407-5327 for more information. LeDuc Historic Estate, Hastings MN, invites the public to tend their Community Garden, Tuesdays, 3-5 p.m. and Saturdays, 9 a.m. Learn how sauerkraut is made on Saturday July 27, 2013, 10 a.m. Call 651-437-7055 for more information. Preserve Minneapolis hosts a series of walking and biking tours this summer, including "Church Week," Sunday July 28, 2013. Visit three historic Minneapolis churches. Pre-register online. Anoka County Historical Society, Anoka MN, offers "Ghosts of Anoka" tours now through August 2013, two Thursdays and Saturdays per month. Tickets: $7/adults; $5/ACHS members; $5/children ages 6-17. Call 763-421-0600 for dates and advance registration. Scott County Historical Society, Shakopee MN, in partnership with Scott County Parks & Trails and Three Rivers Park District, hosts a Family Day at Cedar Lake Farm Regional Park, August 25, 2013, 11 a.m. to 4 p.m. Free. Contact SCHS, 952-445-0378, for more information. Iowa Museum Association offers "Take Control of Your Collection" workshop, Friday July 12, 2013, 9:30 a.m. to 3 p.m., Danish Immigrant Museum, Elk Horn IA. IMA members $45; nonmembers $55. Cost includes lunch. Registration deadline: Friday July 5, 2013. Registration is open for the 2013 American Association for State and Local History Annual Meeting "Turning Points: Ordinary People, Extraordinary Change," September 18-21, 2013, Birmingham AL. Register by July 26, 2013 for the Early Bird Rate. MuseumPests.net will hold a two-day conference and workshop at Colonial Williamsburg, March 27-28, 2014. Submit abstracts (400 words maximum) by August 12, 2013. Minnesota Digital Library Annual Meeting 2013 presenter handouts and recordings are now available on the MDL website. Minnesota State Arts Board posted some changes to their Fiscal Year 2014 Artist Initiative and Operating Support grant programs. Dorothy Molter Museum, Ely MN, announces that Executive Director Sarah Guy-Levar has been selected to receive the 2013 Promising Leadership Award from the Association of Midwest Museums. The IRS issued Deputy Commissioner Danny Werfel's report entitled "Charting the Path Forward at the IRS: An Initial Assessment and Plan of Action." The report outlines a plan to fix problems uncovered with the IRS' review of applications for tax exempt status and improve wider processes and operations in place at the IRS. Minnesota Historical Society has a number of deaccessioned artifacts available to county or local historical agencies. For more information, contact Paul Storch, 651-259-3257. This summer, Northfield Historical Society will display the rifle that Henry Wheeler used to defend the First National Bank of Northfield during the 1876 robbery attempt by the James-Younger Gang. The rifle is on loan from owners Gerry Groenewold and Connie Triplett and will be on display June 25-September 30, 2013. Call 507-645-9268 for more information. Farming in Early Minnesota, by Edward J. Lettermann. Reprint of the 1961 book. Available from Minnesota Historical Society Press.